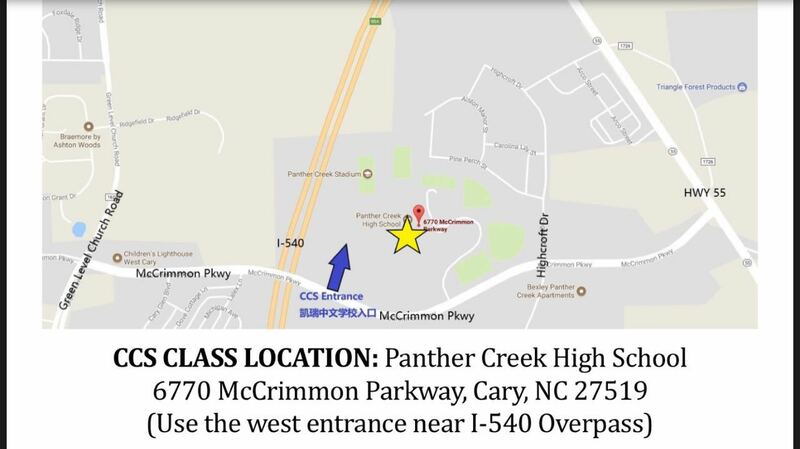 All on-site classes are held on Saturdays at Panther Creek High School in Cary. Due to safety concern, anyone entering the building must sign in at the lobby first! 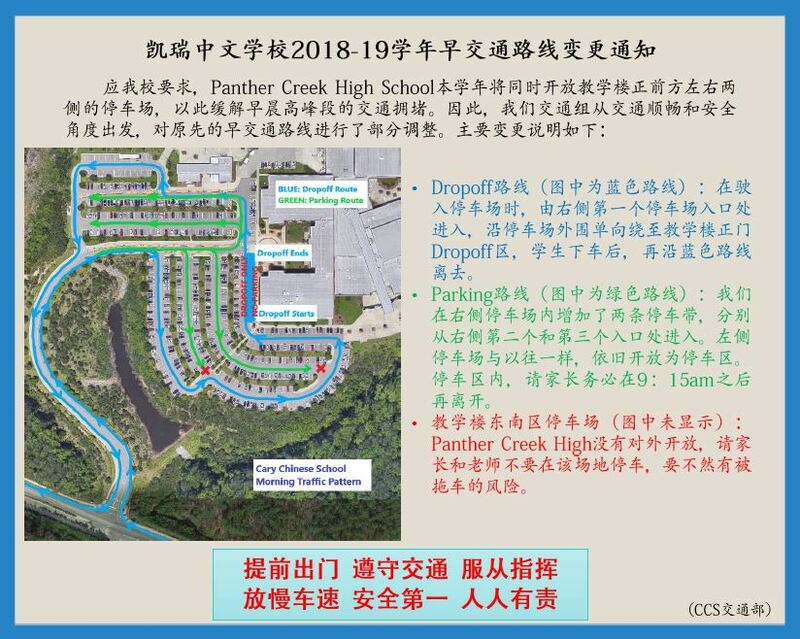 Panther Creek High School (PCHS) designates the Stadium Entrance and Student Parking Lot to Cary Chinese School (CCS) only. 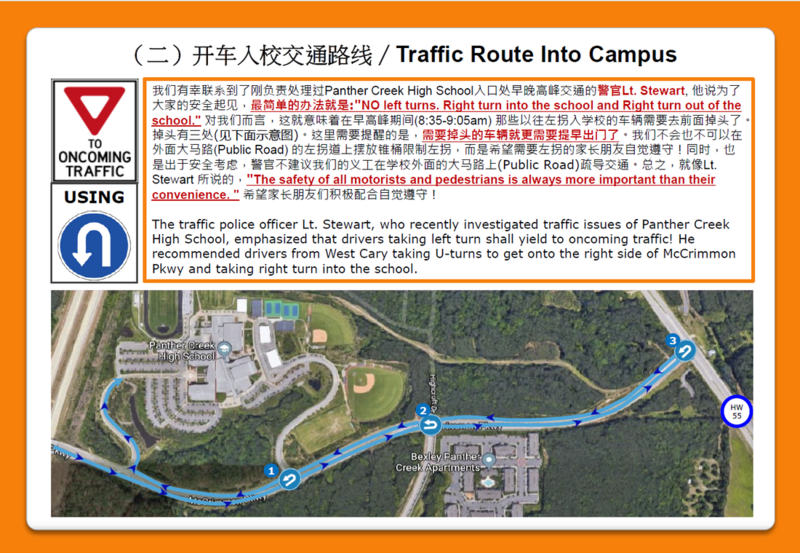 Please follow the traffic route as designated above, ensuring smooth traffic flow and the safety of our children, parents and staff. CCS families must not use the Main Entrance and Main Parking Lot on the east side of the building.